Weighted blades for power cutting. 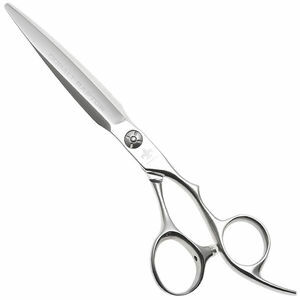 Passion's Cobalt Raptor pushes the boundaries of cobalt steel scissors with the use of weighted blades to give it the kind of cutting power that cobalt scissors often lack. Couple this with the longer-lasting, extra-sharp edge that cobalt steel can take and you can see why the Raptor is fantastic for cutting very thick hair. 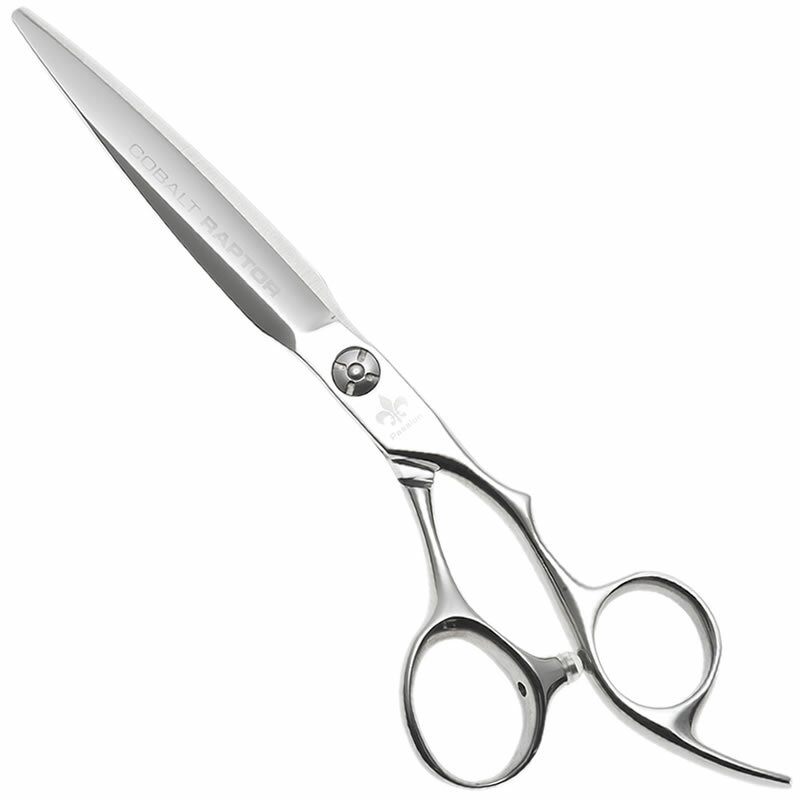 Such performance means that it'll quickly become your go-to scissor for freehand cutting techniques and your clients will love the natural textured finish that it helps you achieve. The handle has an ergonomic shape with a fixed finger rest to keep your hand relaxed when cutting. There's also an adjustable tension screw so you can set your Raptor up just as you like it. The Passion Cobalt Raptor comes in 4 sizes: 5.5, 6, 6.5 and 7 inches. £264.00 (inc. VAT) Why no VAT? We're a trade wholesaler and quote our prices without VAT to help our VAT-registered customers understand the true cost of a purchase.